free hardware electronic textile platform ( based on NE555 ) — All code in GPLv2 & content in Creative Commons CC0 & CC-BY-SA 4.0. Copyleft Collectif 0R. Textilo is a simple board in fabric with an oscillator circuit made with a couple of components and a 555 timer. 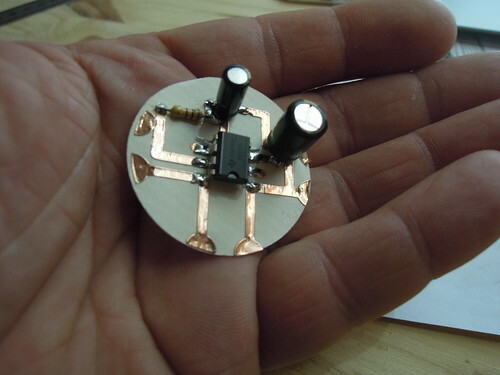 The purpose of this board is to allow people to have a small board ready to use to make some experiment with eTextile. Project made with JB Labrune.